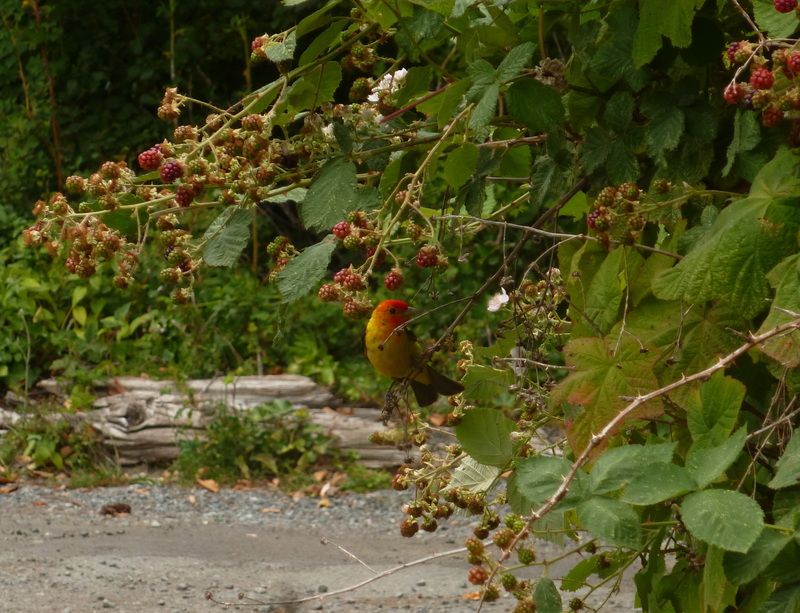 Thanks to Mary Savoie for this photo of a male Western Tanager among the blackberry bushes on Hornby Island. The beautiful flame-like Western Tanagers like to make their home among evergreens, often staying out of sight. They are often described as shy or solitary birds. During the summer, the woodlands is filled with their short rasping song and chuckling call.